Moulvibazar district of Sylhet division is known for its unique beauty and natural appeal. The Upazillas (administrative tier below districts) of Moulvibazar Sadar, Srimangal, Komologonj, Rajnagar, Kulaura and Borlekha are popular tourist areas for their natural sceneries, crystal clear rivers, lush greens, reserve forests, haors, tea estates, hills and hillocks, waterfalls, chhoras or hilly streams and other natural resources. The hilly streams of the said six Upazillas of Moulvibazar district flow through the tea gardens and also other hilly areas. Most of these hilly streams eventually fall into the rivers and have a rich collection of valuable silica sands. O 27 June, 2013, the Ministry of Power, Energy, and Mineral Resources declared 192.5 acres of 51 Hilly Streams as Silica Sand Quarry. Of these 51 Hilly Streams, 29 are in Srimangal, 7 in Komolgonj, 6 in Rajnagar, 3 in Borlekha, 4 in Kulaura and 2 in the Sadar upazilla under Moulvibazar district. Out of these 51 Hilly Streams, 19 Hilly Streams or parts thereof were leased out to private parties for two years without any environmental impact assessment (EIA). Although the lease deeds expressly barred extracting from areas beyond the leased out areas, using mechanized devices (drill dredgers/excavators), doing anything that may threaten the environment or disturb the tourists, extraction activities indeed were being carried on outside the leased out areas. 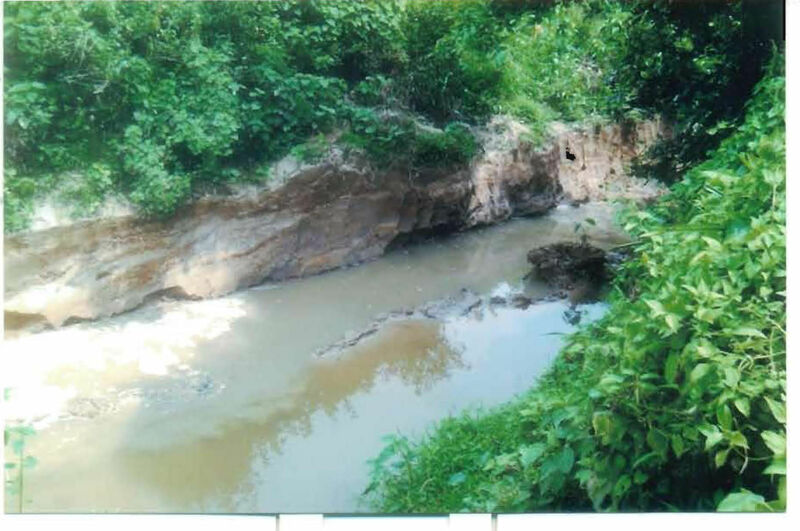 This was inflicting serious damage on the hilly streams and the nearby roads, agricultural lands, homestead lands, bridges and were severely affecting the local communities dependent on these streams for water supply. The destructive mode of sand extraction was damaging the beauty and appeal of the hilly streams and the tourist areas. In connivance with local administration, such extraction of sands was also continuing unabated and indiscriminately in the 32 Hilly Streams that were not leased out. Local people complained to the responsible agencies to regulate the destructive and unregulated extraction of sands but of no avail. Vide letters dated 06.11.2014, 22.11.2014, 25.11.2014, 28.11.2014, 23.02.2015, 26.04.2015 and 20.07.2015, affected local people first complained to the responsible agencies, i.e., the Ministry of Power, Energy, and Mineral Resources; Bureau of Mineral Development; Department of Environment, and Deputy Commissioner, Moulvibazar to regulate the destructive and unregulated extraction of sands. Having failed to receive any redress, they approached a national level organization, Bangladesh Environmental Lawyers Association (BELA) vide letters dated 25 November, 2014, 30 December, 2014, 26 April, 2015, 1 July, 2015, 20 July, 2015 and 6 August, 2015 seeking legal assistance against unlawful and destructive sand extraction and for protecting their life and environment from the havoc of such indiscriminate extraction. Finally, a public interest litigation (Writ Petition No. 2948 of 2016) was filed before the High Court seeking directions against the declaration of 51 hilly streams as Sand Quarry, the leasing out of the 19 hilly streams for silica sand extraction, and the indiscriminate extraction of silica sands from all the hilly streams without Environmental Impact Assessment (EIA) and Environmental Clearance Certificates (ECC) be declared illegal. The Supreme Court declared all these as illegal and prohibited further leasing out of the Quarries without objective and impartial EIAs and ECs. 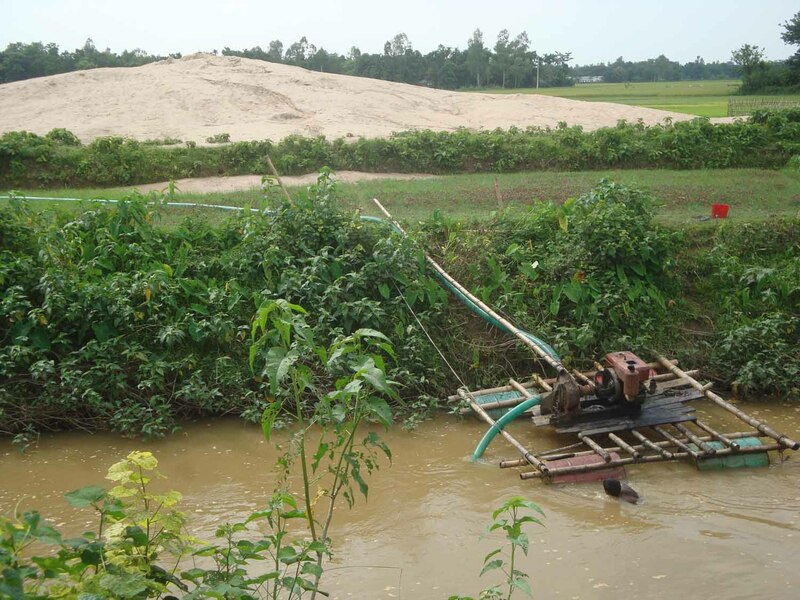 Project Details Vide a Gazette Notification dated 27 June, 2013 issued by the Ministry of Power, Energy and Mineral Resources 192.5 acres of 51 hilly streams flowing through the Moulvibazar district were declared as Silica Sand Quarries. Of these 51 Hilly Streams, 29 streams are in Srimangal Upazila (administrative unit below districts), 7 in Komolgonj, 6 in Rajnagar, 3 in Borlekha, 4 in Kulaura and 2 in the Sadar Upazilla. 19 out of these 51 hilly streams were leased out for 2 years to 14 individuals for the years 2015-2016 for extraction of silica sands used for refining ceramic products. Of these 19, 13 streams (Shumaichhora, Fulchhora, Murachhora, Jaitachhora, Isamotichhora, Bilashchhora, Aliachhora, Naranyanchhora, Udnachhora, Langliachhora, Jagchhora (west part), Jagchhora(east part, Dingdingachhora) are in Srimangal Upazilla, 4 (Dhamaliachhora, Laghatachhora, Languchhora, Shunchhora) in Komolgonj Upazilla, and 2 (Bobachhora and Borochhora) have their flow through the Kulaura Upazilla. Director, Bureau of Mineral Development; Deputy Commissioner and Superintendent of Police, Moulvibazar; Upazilla Nirbahi Officers, Sadar Upazilla, Srimangal Upazilla, Komolgonj Upazilla, Rajnagar Upazilla, Kulaura Upazilla, Borlekha Upazilla, Moulvibazar. Why? Explain briefly. Despite the ruling from the Supreme Court, mining has not totally stopped. For delivering the benefits of the judgment, further follow up legal and administrative actions shall have to be initiated.